In the moments immediately after the stroke it is critical to seek emergency care immediately. Patients who arrive at the emergency department within three hours of the first symptoms tend to have less disability months after a stroke than those who delayed care. According to the American Stroke Association, 85 percent of strokes are ischemic—caused by a clot blocking blood flow to an area of the brain. Alteplase IV r-Tpa, is the only FDA-approved medication for ischemic stroke, but it can dissolve the clot up to three hours after it develops, making emergent care critical. During a stroke event, every moment is crucial, so familiarizing yourself with the signs of a stroke, especially if you or a loved one are at elevated risk, can greatly improve your survival and recovery prospects by helping you seek out medical care more quickly. The quicker a stroke sufferer can reach the hospital, the sooner that treatment can begin. The rehabilitation process will start almost immediately — as early as two days after the stroke — taking full advantage of the nervous system’s ability to heal. The patient’s medical team will transition him or her through a series of rehabilitation options, starting with inpatient rehabilitation and eventually moving on to supported in-home care or outpatient. The stroke recovery time scale depends on the severity of the stroke and the health of the individual. Early therapy may include basic exercises while the body regains mobility and strength, with the difficulty level gradually increasing over time. Throughout the entire stroke rehabilitation process, stroke recovery progress may fluctuate or plateau depending on the brain’s level of neuroplasticity, but progress can continue with the right interventions. Especially during the subacute phase of recovery (typically occurring within three to six months after the stroke itself), significant changes are possible with the support of a reliable routine and supplementary in-home stroke therapy devices. High-quality hand and arm orthotics can reinforce the affected limb, facilitating improved recovery and function. Creating the right atmosphere that promotes a dedicated therapy regimen and high personal health is essential to making the most of stroke recovery. Quite often, physical exercise is the key to overall recovery, especially during the periods when it feels most challenging. Your stroke therapy team may advise mild aerobic activity as soon after the stroke as is physically safe. Medical recommendations may vary depending on the severity of the stroke-related symptoms, but if your health allows for the incorporation of such a routine, it can contribute greatly to your rehabilitation. The benefits of aerobic exercise after a stroke include greater overall energy, regained strength and balance, increased circulation to necessary areas of the body, lowered blood pressure, and improvements in mood and mental health. Better coordination and strength in the rest of the body also mean better support for the affected area that is undergoing the stroke therapy itself. The American Heart Association reports that structured exercise improves cognitive abilities including memory, executive function, and attention span. Additionally, the use of aerobic exercise can help offset the effects of stroke-related depression. All of these factors, from loss of balance to memory issues to dips in mood, can interfere with a patient’s ability to participate consistently in therapy, so any healthy method of easing these difficulties increases the effectiveness of the rehabilitation program as a whole. The recommended amount of aerobic exercise may change depending on the person’s health during a given week. The AHA recommends a goal of 30 minutes of moderate exercise five times a week, or 25 minutes of intense exercise three times a week. Any and every exercise routine should be tailored to the survivor’s current capabilities. Falls and injuries, especially in these early stages, can lead to serious complications and setbacks, so it’s important to work with an assistant and always consult your doctor before beginning a new training regimen. The brain is an incredibly elastic and self-supportive organ, but just like other regions of the body, it requires exercise to recover from a stroke. After the stroke takes place, new neural connections can be forged via neuroplasticity — the brain’s ability to change and form new networks. These changes occur in response to cues from the outside world, and consistent stroke therapy is the most dependable source of these cues. Since strokes often affect the motor cortex, exercises that either mirror or slowly move through these lost functions are often the main focus of therapy. Mirror therapy is a therapeutic approach that uses a mirror box to regenerate neural networks that control limbs and other parts of the body. Developed by Vilayanur S. Ramachandran at University of California San Diego to address phantom limb pain, a mirror box utilizes mirrors to give the impression to the user’s brain that they are moving an affected limb. In mirror therapy, a patient performs exercises with an unaffected limb but because of the reflective surfaces inside the box, it appears as though the affected limb is being exercised. A 2016 study supports the use of mirror therapy to encourage motor recovery in poststroke hemiparesis. The more comprehensive and thorough the therapy, the better the chances of a good recovery. The amount of time spent on daily rehabilitation exercises directly relates to the speed and success of the healing process. Making this schedule work requires a stable regimen, stroke rehabilitation knowledge, and access to supportive tools at home. Establishing a sense of independence can also greatly support consistency; if stroke survivors fall into an at-home therapy rhythm that works, they are more likely to stick with the program. Both physical and psychological support are necessary to keep stroke therapy on track and encourage a successful recovery, but it’s entirely possible with the help of loved ones and attentive medical professionals. Depression in stroke survivors is a common concern — up to a quarter of patients feel its effects during the healing process. Any signs of depression should be taken as seriously as any other side effect and treated as quickly as possible. Depression is far more than a decrease in overall mood. Fatigue, trouble focusing, sleep disruptions, and a loss of interest in things that bring you joy are just some of the common signs of depression. It’s easy to see how these symptoms can derail the often-intense stroke rehabilitation process. Speak with your medical team about any depression symptoms, before they have the chance to impede your overall healing journey. Some people become more susceptible to depression after a neurological disruption like a stroke. By knowing the signs, you and your medical team can keep an extra eye out for potential problems. Common risk factors for post-stroke depression include previous brain injury, history of mental illness, and functional issues such as Parkinson’s disease. Women tend to be at greater risk than men, and lifestyle factors like living alone can also raise your risk. If signs of depression do emerge or seem likely to, there are many common types of therapy available to assist stroke survivors through this challenging time. A cognitive therapist, for example, can walk you through the daily experience of dealing with a stroke and teach you methods for handling frustrations and signs of depression that arise. Other stroke survivors have found that art, music, or even pet therapy can improve their mental state and overall recovery experience. 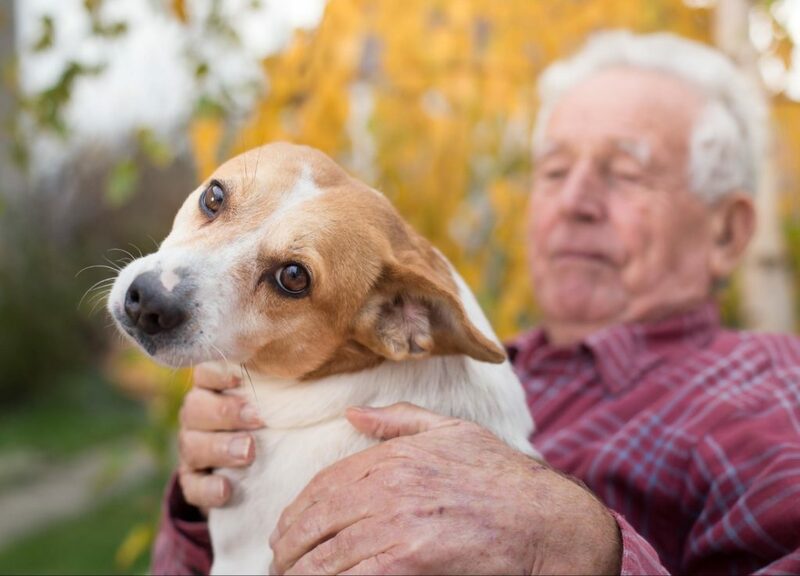 People who try pet therapy after a stroke have shown reduced signs of depression and loneliness. As is the case with all times of healing, having a strong support system can keep you on track and help you rise to the demands of the stroke therapy process. Progress can seem slow, especially during the later phases of recovery, and a network of support keeps the days varied and filled with encouraging diversions and care. This sense of normality can also mirror the patient’s pre-stroke lifestyle, which can be beneficial for the healing process. Depression is not the only psychological condition that can slow down the stroke therapy process. Over a third of patients observed in a 2012 study were found to experience post-stroke apathy during the months of therapy. Stroke therapy fatigue is so common that it’s often referred to as “the invisible symptom,” and after such a frustrating and sudden life change, there’s no question why it occurs. Finding a balance between rehabilitation and rest is difficult, and when signs of stroke recovery dip, it’s easy to assume the exercises are no longer working. Unfortunately, these drops in motivation directly lead to further drop-offs in progress. So how can you and your support team combat this difficult cycle? By setting short-term, reachable goals, and marking your rehabilitation process in small steps. If you begin to experience the effects of depression, ask for additional support from a mental wellness professional. No one is able to go through this process alone and without challenges. Additionally, lean on your daily routine. Repetition is both the key to neurological progress and a way to keep your body moving through the more difficult days. Waves of frustration will often dissipate as quickly as they arrived, and motivation will return again if you stay the course of the prescribed stroke therapy. In other cases, simply waiting it out is not enough. Treat symptoms like depression and stroke therapy fatigue with care. Building a support system, both within the home and in your community, can be the key to a quick and successful stroke therapy process. Here at Saebo, we are committed to stroke support and recovery for all survivors and their families. Saebo offers a wide range of products that combine cutting-edge technology with evidence-based rehabilitation techniques. Our offerings and network of Saebo-trained therapists can help you or a loved one to obtain all the necessary tools to maximize stroke recovery.